For other supported types see Supported Document Types. 1. 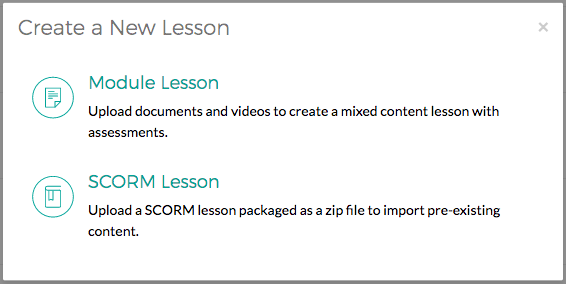 Go to the lessons view and click New Lesson. 3. Select the file you wish to upload. This will be the first module in your new document lesson. 4. 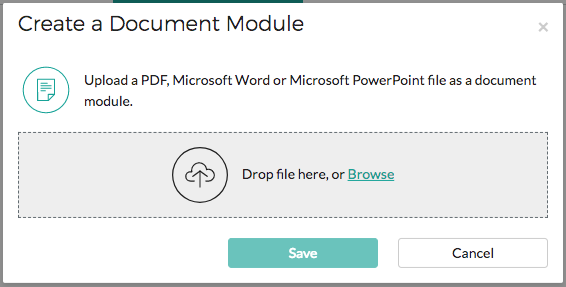 In the edit lesson screen you can choose to add additional Document modules by clicking "Add Module.."
5. 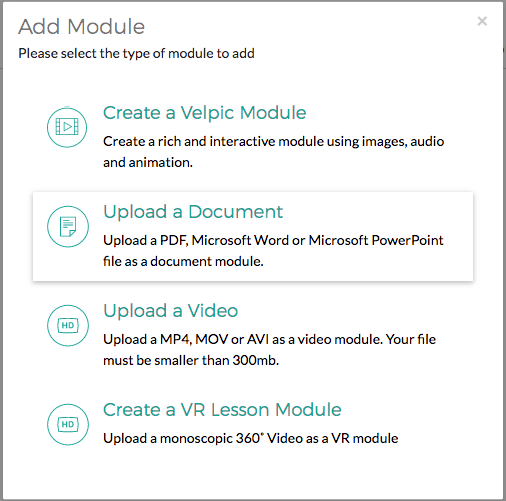 Click the edit icon on a module to view the properties to edit for that file.